Riviera Home High Quality Wool Carpets (and they are high quality!) – new to Pauls Floors. Riviera are relatively new to the carpet market in the UK but now they’re here, they are bringing some nice stuff with them! Chunky stripe loops, chunky plain loops, small loops, flat weave, you name it, it’s in this range. We love the Florence range, a flat weave in a chunky basket weave design in six colours. There’s also six funky colours to choose from in The Carnaby Street Stripe which means there’s bound to be one that fits your decor and if not, well, you could redecorate? 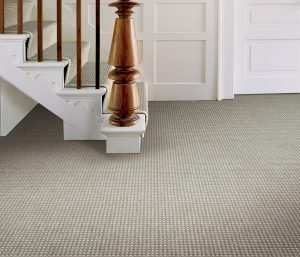 Woven in the finest Riviera 100% Wool yarns, this flatweave carpet in a chunky basket weave design is available in 5m width and comes in a stunning palette of 6 contemporary colours. Stripes not for you? Take a look at Tetbury or Yale – both naturally sustainable eco carpets where everything from the wool to the latex and jute backing will decompose naturally (not immediately, you’re not going to wake up and find your lounge carpet has disappeared overnight but you know what I mean!). The Burford, Harvard and Eton ranges are also totally bio-degradeable, eco-friendly carpets made from 100% natural and renewable resources.